Fetty's debut album is set for release tomorrow (25th September). Ahead of the release of his new self-titled debut album, Fetty Wap has revealed the official music video for his hit single ‘My Way’ featuring Monty. Although the song initially gained massive popularity through a remix with Drake, the original has been selected for the album. 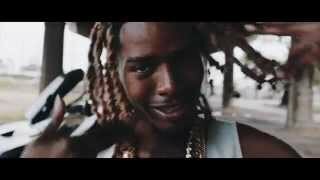 In the Danny Erb-directed video, Fetty cruises around his city in a new car and a motorbike with his ‘Zoo Gang’. The video also shows the rapper’s rapid acceleration to fame, cutting in between shots of him in New Jersey with his friends and flashes of him performing in front of huge crowds. Watch the full video for ‘My Way’ above.